We put our coffee cups on them and heap them with magazines, but we basically ignore the decorative possibilities of the lowly end table. As an interior designer, helping my clients find the right end table or coffee table can be a challenge, but it doesn't have to be difficult or costly. If you need an end table, you can inexpensively design one that will enhance your décor, if you’re willing to scrounge and use your creativity. It's often good decorating sense to purchase matching end tables and a coffee table to give a traditional and balanced look, especially if the other furnishings in the room are complex and eclectic. End tables and coffee tables made of the same material and in the same style are more restful to the eye. Unfortunately, this can be an expensive (and sometimes boring) design solution. Suitcases you can arrange in a graduated fashion. A stack of brightly colored hatboxes. A stack of large coffee table books. 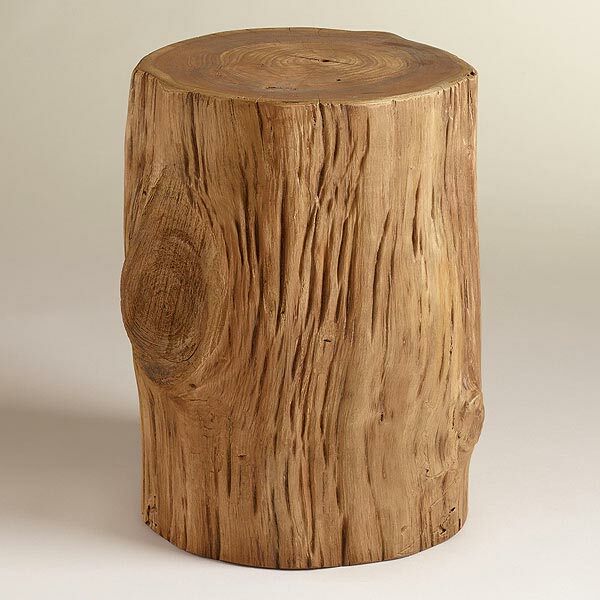 A pedestal (normally used to display a piece of art). A box made of plywood and either painted, covered with wallpaper or covered in a fabric present in the room. A teacart, drum, barrel or Japanese tansu. A stool you hand paint to match the room’s colors. A Chinese porcelain garden stool. A bookshelf or three-drawer dresser. A circular plywood table skirted with a quilt or a swath of fabric that matches the room’s décor. A large terra cotta pot filled with sand and covered with a circular piece of glass. Arrange shells, pebbles or other found objects in the sand. A brightly colored, cylindrical plastic bucket or trash can fitted with a glass top. An antique or wicker chest. An old dining room table with the legs shortened. An ottoman or footstool that matches your couch. A door fitted with legs.